Today, I will be chatting about CIDB and how it works. Yes, I know…CIDB, what? Let me assure you that when I first started at Leads 2 Business I had no clue what CIDB was, what it stood for or how it even worked. Rest assured though, I will go slow. Construction Industry Development Board. Big words, I know, but all it means Construction companies that are required to be registered to CIDB for numerous types of construction work. That is correct. So if you are an owner of a Construction Company and you are applying for tenders, you need to be registered under the Construction Industry Development Board in order to qualify for the necessary requirements for a tender. 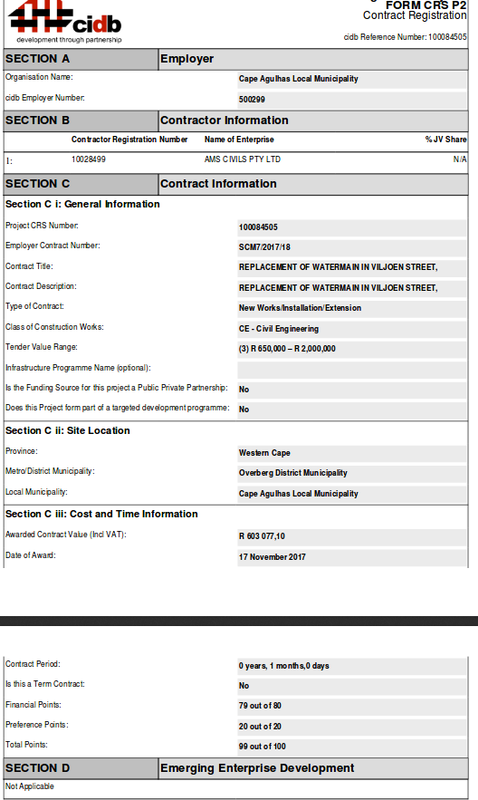 Many times in the Construction Industry, when Municipalities are advertising tenders, one of the requirements are being registered under CIDB. Now we are going to take a look at the Values of the Rating for CIDB gradings. Okay, that was quite a mouthful. The Class of Construction works is basically an indication of what your business does. Now we will take a look at how your company determines their grading. 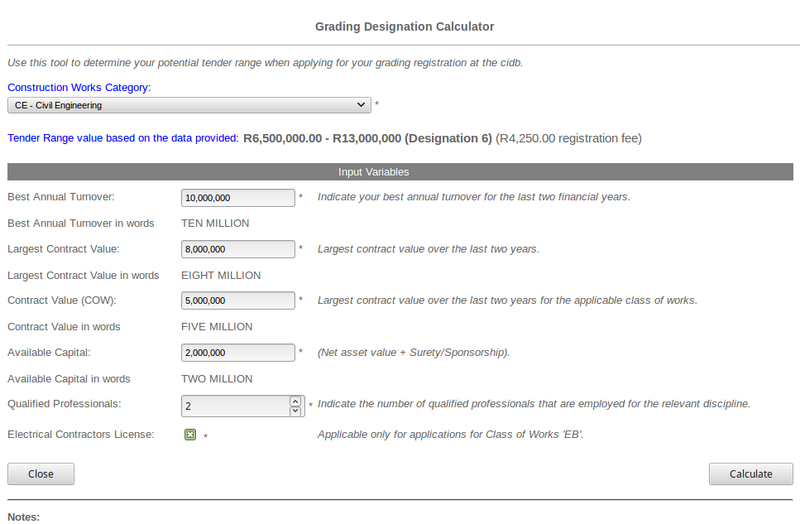 This is called the Grading Designation Calculator and can be done on the CIDB Website. All that is required of your business is the financial documents. Well, you are looking at your Profit and Loss for the Financial Year, the largest contract value that was awarded to your company and you will also need the capital value of the business. 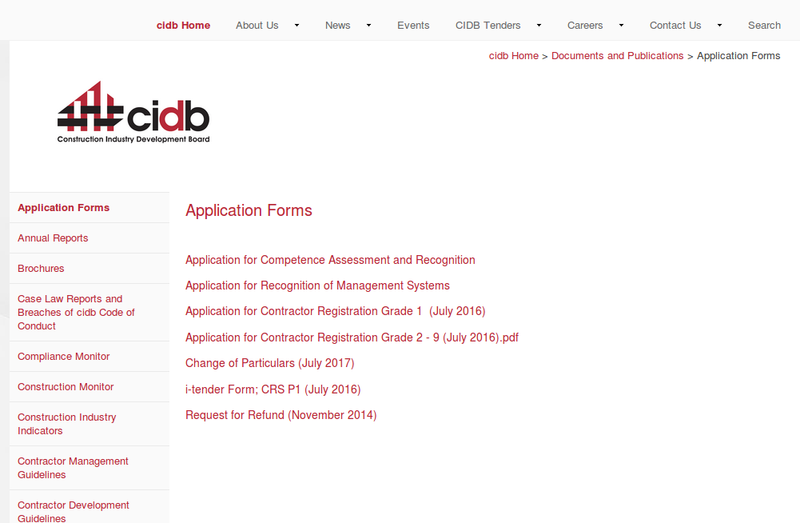 Please note that the CIDB is only for Construction Companies that do Construction work for non–residential areas. That would be your Office Buildings, General Building and Maintenace of government property (Hospitals, Fire Stations, Municipal Buildings, etc). Construction companies that deal with Residential areas, your company has to be registered under the National Home Building Council (NHBRC). The NHBRC is very different from CIDB in the sense that, the Construction Company has to prove to the NHBRC the number of houses they have built to date. To register on CIDB, it is very simple. All you need to do is submit an application and select the applicable Grade. The construction company also needs to indicate the maximum value of work permissible in their registered grading level. There are different requirements for track record and financial capability depending on the grades and classes. The application criteria need to meet both the requirements in order to satisfy the grading assessment criteria. The CIDB Provincial Offices offer free help desk support to contractors. Alright, so that concludes my discussion for the day. I must admit that it was quite fun sharing my information with you today. I can only hope that somewhere out there, a subscriber has learned something new today, I know I did. I am a Content Researcher for the Western Cape Region in the Tenders South Africa Department.